Niall Horan has announced announces that he will embark on the "Flicker Sessions 2017" tour later this year. 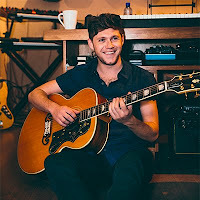 Horan has spent the past year working on his debut solo album and will now bring his new music to fans in a series of intimate shows. Each ticket purchased for the "Flicker Sessions 2017" also includes a physical copy of Horan's forthcoming album. Opening on home turf in Dublin, and then moving on to London, Stockholm, Sydney and Tokyo, Horan will play the Hollywood Palladium in Los Angeles on September 19, then head to Mexico and Rio De Janeiro. The run will include a show at New York City's historic Beacon Theatre (October 31) plus concerts in Toronto, Miami, Atlanta, Nashville, Dallas and Phoenix. It concludes on November 22 at The Masonic in San Francisco.